Papua New Guinea’s national oil company Kumul Petroleum Holding Limited has executed an Agreement with KBR, a global Oil and Gas Engineering and Construction services provider, to provide conceptual development and feasibility analysis services for an energy hub in the Kikori region of the Gulf Province of Papua New Guinea. The energy hub, to be known as the Kikori Energy Hub (KEH), is an extension of the Western Pipeline Project scope currently being undertaken by Kumul Petroleum. 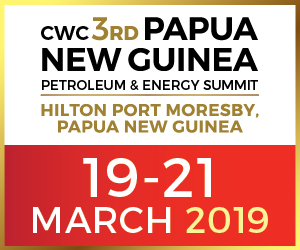 Kumul Petroleum’s Managing Director Wapu Sonk, commented, “now that we have completed the Pre-FEED of the Western Pipeline Project, we are focusing on the Downstream Commercialisation options available to produce an economically sound project, and how best we can create In Country Value (ICV) to the people of Papua New Guinea whilst maximising our Return on Investment”. “The extension of the Western Pipeline Project scope to now include a stand-alone downstream LNG process development, combined referred to as the Kumul LNG Project, is a natural progression. Whilst an Economic Impact Assessment will be undertaken to assess the ICV to PNG, it is estimated up to 30,000 local employment opportunities will be created during the construction phase, if the Project is proved feasible”. 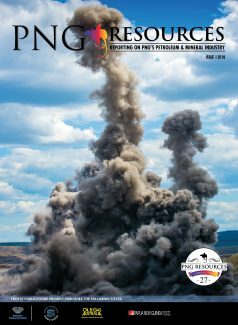 Project Director for the Kumul LNG Project, Jason Pollock commented “the scope of the Concept Feasibility Study currently being undertaken to evaluate the potential KEH economics will include a Mid-Scale LNG Liquefaction and regional export facility to encourage future PNG electrification via gas driven generation in remote areas, a 180MW Power Generation facility of which up to 100MW has been allocated for Western and Southern Highland electrification via future grid connection, a Methanol Process facility to enable local petrochemical bi-product production, and a condensate stabilisation, storage and regional export facility”. The scope of the Conceptual Feasibility Study includes location and technology screening studies for the LNG liquefaction facility that will identify the most economically feasible concept, inclusive of a Floating LNG facility, a Gravity Based Structured LNG facility or an Onshore based LNG facility. The Concept Study is scheduled for completion later this year. Captio: Kumul Petroleum Holdings Limited Managing Director Wapu Sonk countersigning the agreement.